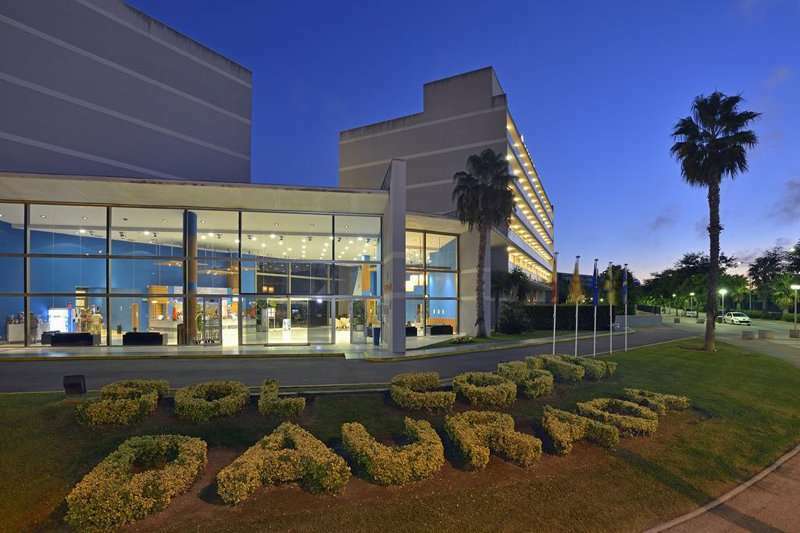 Located in the city centre of Salou, the Sol Costa Daurada is a luxurious 4* hotel, providing an excellent base to explore Costa Dorada and the fantastic golf courses in the region. The property boasts two outdoor swimming pools surrounded by a spacious terrace, a spa and wellness centre, and a games room to keep you entertained in the evening. 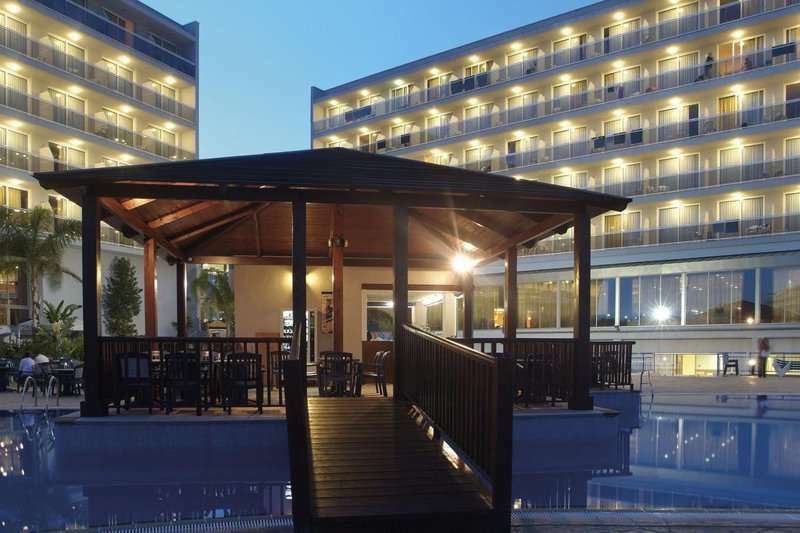 Each of the spacious and recently renovated guest rooms have air conditioning, a satellite TV, mini fridge, safe and a furnished terrace or balcony with a view of the immaculate gardens or lagoon style pool. 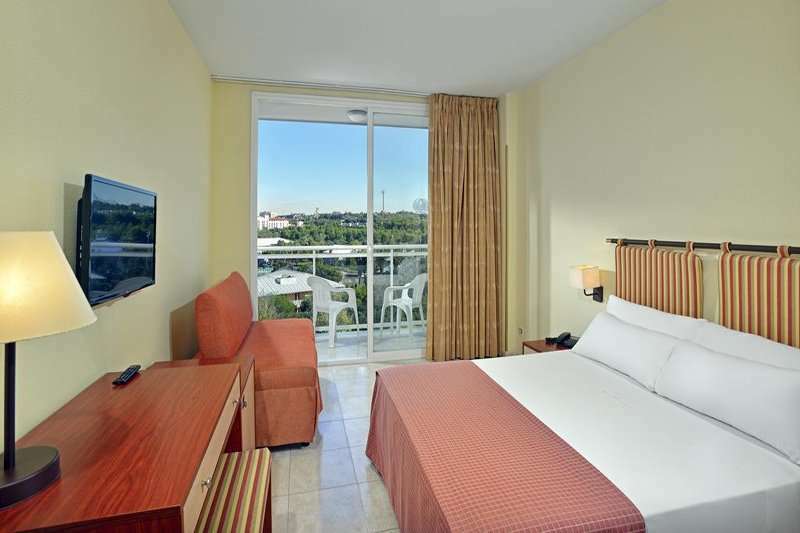 The rooms all feature bright and modern décor for a comfortable stay in a relaxing environment. 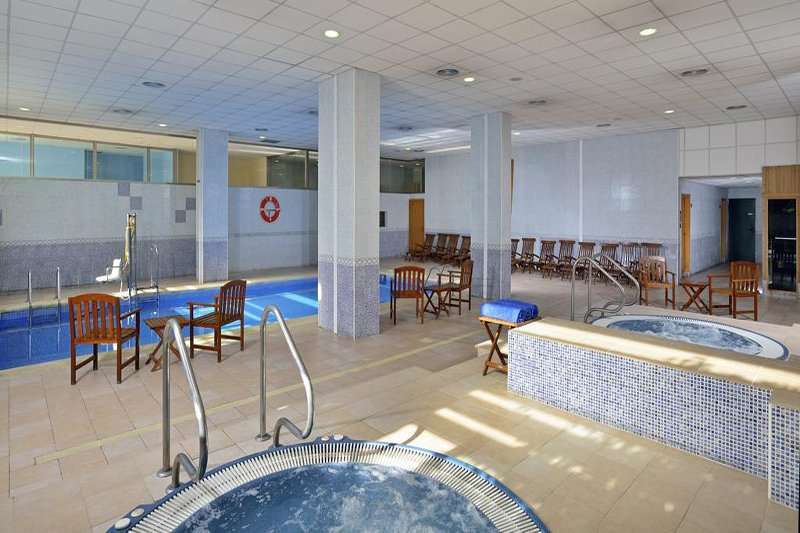 The wellness centre includes a variety of facilities and treatments to indulge in on your non golfing days, including an indoor pool, a sauna, Turkish bath, two hydro massages and a fitness centre. A range of massage and treatments are also available. 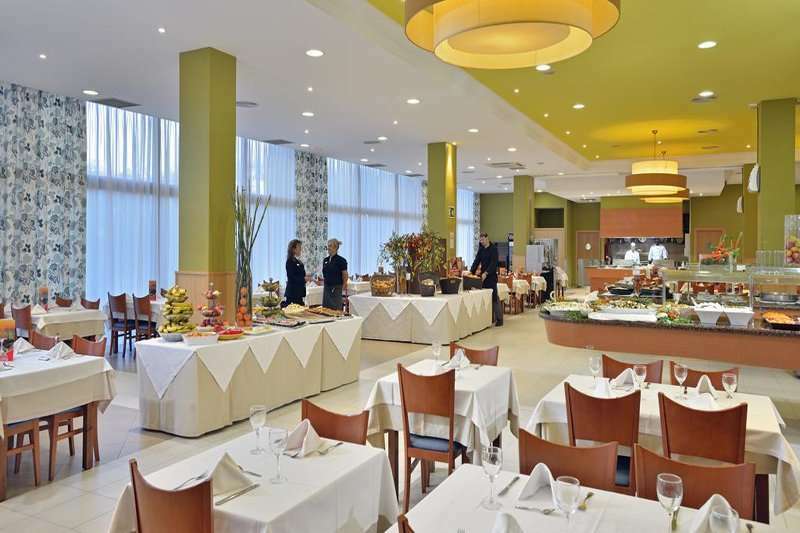 The onsite buffet restaurant serves up an international and Mediterranean inspired buffet menu serving a mix of salad, fish, meat and vegetables. The spinnaker bar offers a light lunch for a quick refuelling before heading back on Costa Dorada’s favourite courses. 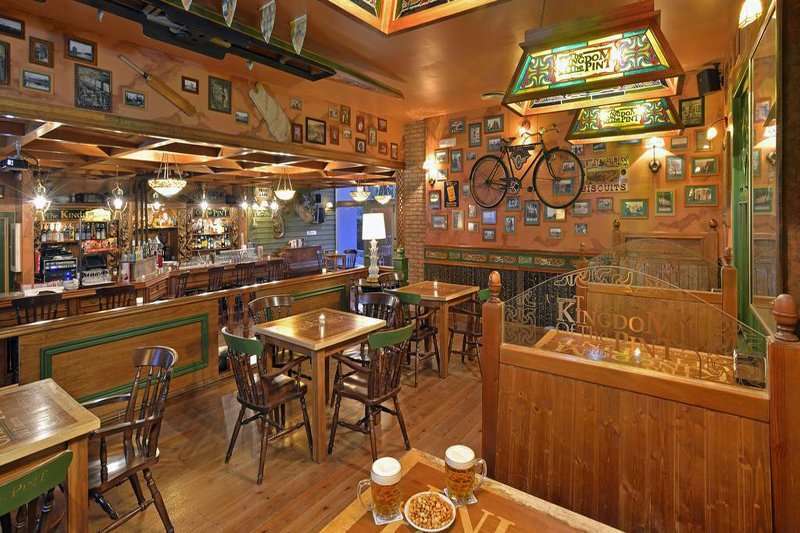 The hotel also offers an English pub onsite, to get that true sense of home when you are on your Spainish golf holiday. 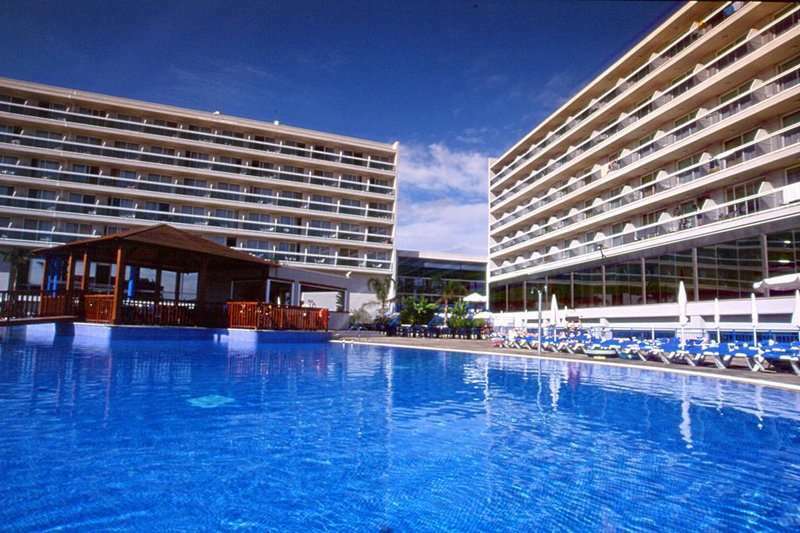 The Sol Costa Daurada is in a prime position to venture into the centre of Salou, which is host to a variety of restaurants and bars. 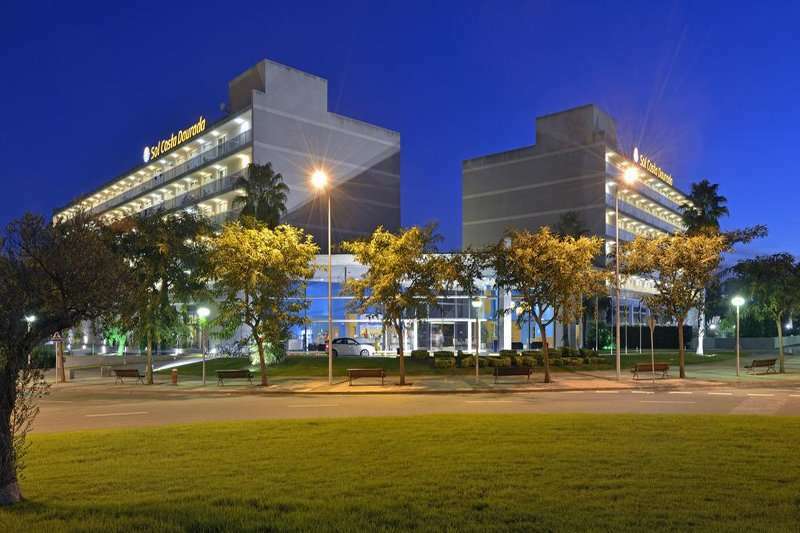 The hotel is not far from Costa Dorada's most important tourist resort of Tarragona, which is only a 15 minute drive away. Most importantly the three courses located at Lumine Golf Club are just 4km away, featuring the Hills, Lake and Ruins, offering a comprehensive golfing experience. 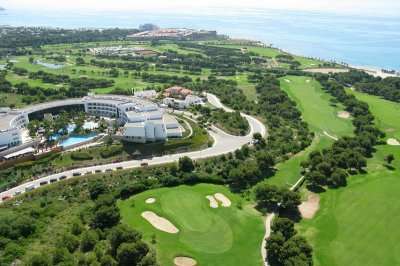 The Golf Costa Daurada, Bonmont and Club de Golf Reus Aiguesverds are all within a 20 minute drive and worthy of a round or two. 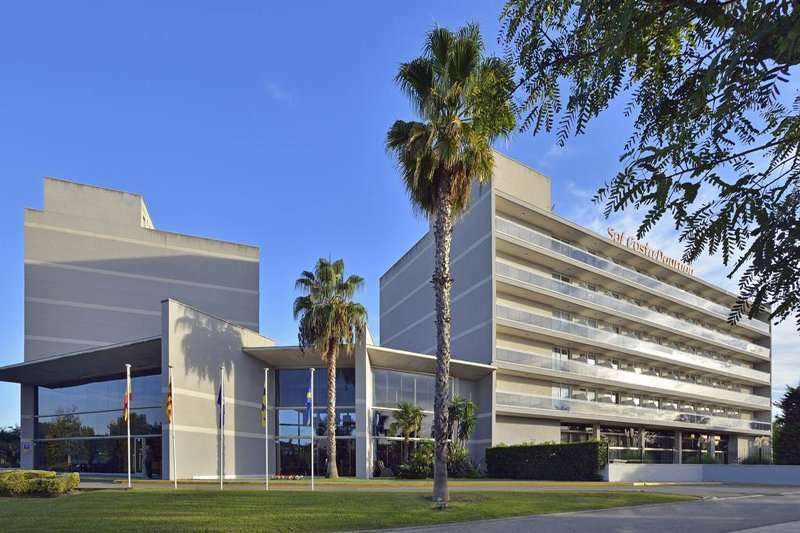 The Sol Costa Daurada is a sublime hotel set in a brilliant location for your next Costa Dorada golf holiday.